Marine First Aid - F.A.S.T. Rescue Inc.
F.A.S.T. Rescue offers the Basic Marine First Aid course which meets the requirements of Transport Canada (Transport Publication 13008 E). This course is a comprehensive two-day session designed to meet the needs of those expected to provide first aid in a marine environment. Our course uses a combination of lecture, discussion, and scenarios taken from the marine/fishing industry to teach the required knowledge and skills. This basic marine first aid course offers an overview of first aid and cardiopulmonary resuscitation (CPR) skills for the marine/fishing industry. 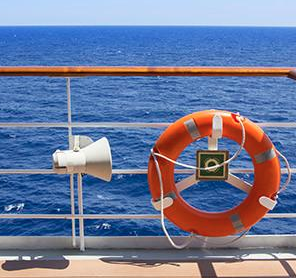 This course is for anyone who needs a rating certificate, endorsement, or a Master or Chief Mate limited certification, as well as for anyone who provides first aid on board a vessel engaged on a near-coastal voyage, class 2, or on a vessel on sheltered waters. It is designed to provide the designated First Aider with an understanding of the tasks, duties and responsibilities associated with this job and to provide them with the knowledge needed to take immediate action in the case of an accident or illness. Click here for the course description.